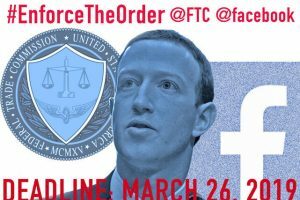 EPIC has launched the #EnforceTheOrder, @FTC campaign to urge the FTC to enforce the agency’s consent order with Facebook. 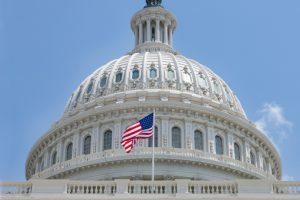 March 26 marks one year since the FTC reopened its investigation into Facebook. 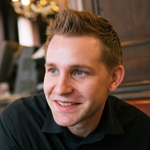 Enforcing the 2011 consent order matters to me and the 87 million other @facebook users whose information was compromised after Cambridge Analytica. 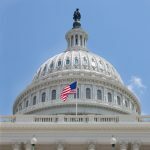 New developments in Artificial Intelligence are transforming the world, from science and industry to government administration and finance. 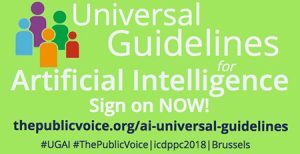 The Universal Guidelines for Artificial Intelligence, which will be released at the international conference of The Public Voice and ICDPPC in Brussels on October 23, aim to inform and improve the design and use of AI. The Guidelines are intended to maximize the benefits of AI, to minimize the risk, and to ensure the protection of human rights. Learn more and endorse the UGAI at thepublicvoice.org.